The rumor is that Mr. Telling is going to relocate. The current location has been fine, and the local staff has been great, but some functionality would be better addressed in a different location. Emspar has been working on that today. Nothing new really to report about it, other than it’s being investigated. I bet free coffee will still be included. *grin* Do you think we could lobby for complimentary chocolate too? Other than that, today was quiet. Lalo and Emspar got a chance to relax together and rest up. I went out on a road-trip assignment last night. I wasn’t able to be with Lalo to light the Chanukiah, so I can’t give you the shot of Night 3. 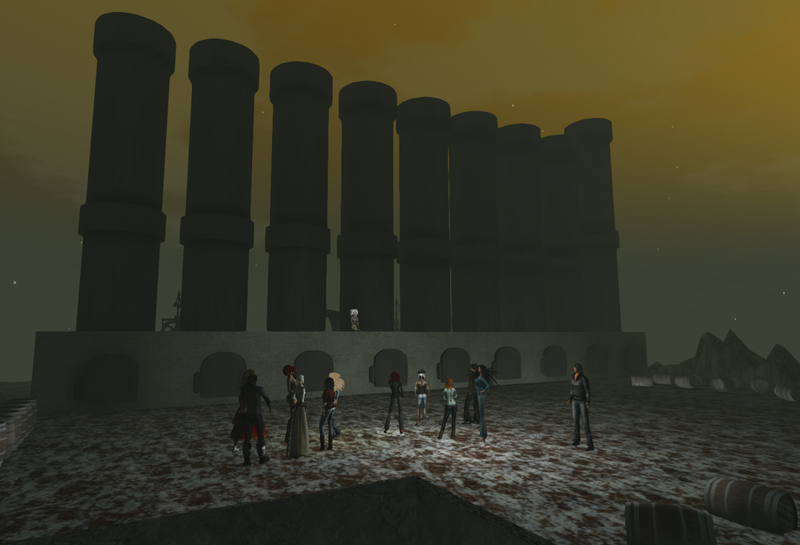 But I did get the chance to celebrate with some of Lalo’s friends in SL. 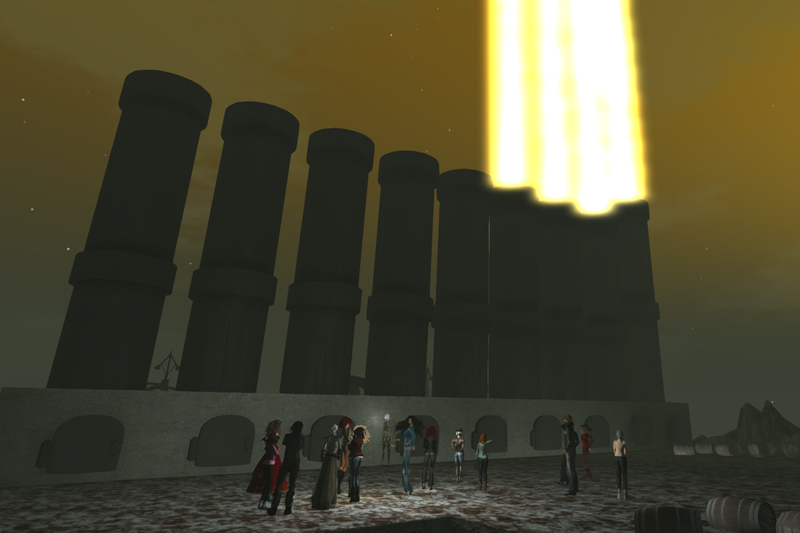 I got inworld in time to head to Edloe for the candle lighting. I don’t take very good photos – I don’t have the patience to set up lighting and angle and all. So the really good shots are by Honour. 🙂 The one where the lighting is poor is by me (don’t want to taint Honour’s reputation with my (lack of) skill. 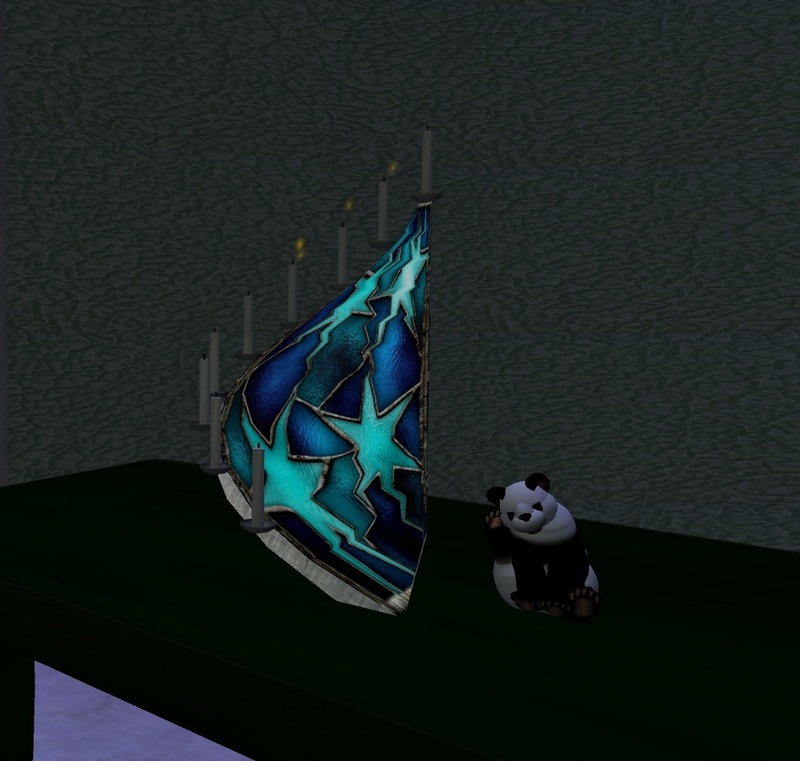 Chanukiah lighting takes place in InWorldz at 4:30pm SLT on Nova sim. Wizzy has set up a healing garden on Lalo’s Inworldz parcel where you can rez: Takamaka/51/204/22. 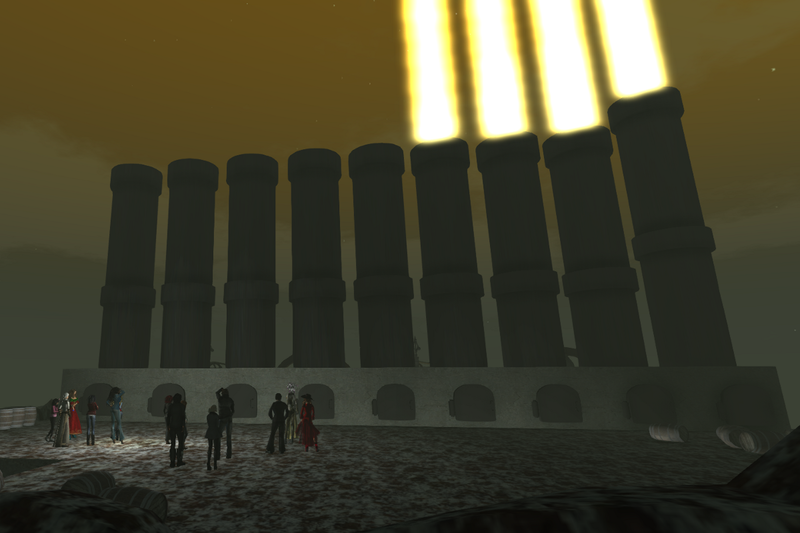 Chanukiah lighting takes place in SL on Edloe at 5:00pm SLT at Edloe/188/205/48. Lalo and Emspar appreciate all the love and good wishes you are sending. I’ll do my best to keep this blog posted with information daily, even if it’s just to say nothing much new to say. /me heads off to clean the white boards, sharpen the pencils, clean the coffee cups. It’s really nice to have a place to come to. The actual location is what makes VWs so satisfying. Leaving flowers is so much better than a Tweet. Thank you for all that you do for Fox.